The Crew, Ubisoft's nation-spanning car MMO, is getting its second expansion this November in the form of Calling All Units. As the name implies, cops are involved, and so are baddies, and so are supercars, motorbikes and SUVs. As the name doesn't imply, you'll be able to be the baddies (ie, street racers) as well as the cops. 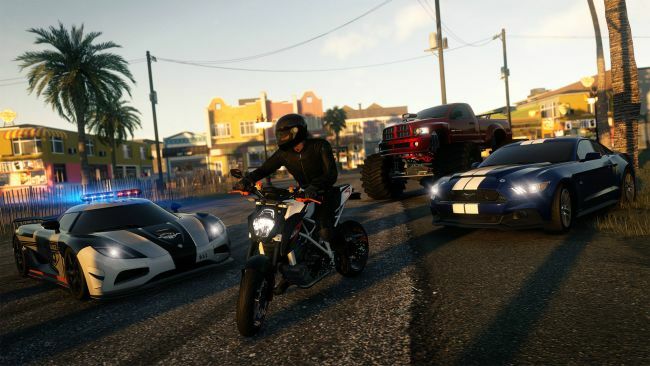 The expansion will boast a 12-mission story, and street racers will wield flashbangs and – most excitingly – unlimited nitro, in order to avert the police. The expansion will release November 29, with an Ultimate Edition available on the same day which includes the base game as well as the Wild Run and Calling All Units expansions. Calling All Units sounds like it could be fun actually. Might pick it up on a sale or Humble Bundle or CDKeys offer or whatever.